It’s spring in the Sonoma Valley, and time for Farm Trails, a seasonal event to visit working farms. At this time of year, kids will see plenty of newborn animals – baby goats and lambs are so cute, you want to pick them all up and take them home with you. Sonoma is famous for its vineyards, but this is also a fertile agricultural area, with family run farms that produce milk, eggs, beef, cheese. What a treat for kids, toddlers especially, to explore a working farm. See fuzzy lambs and their moms romping through the fields, chickens that lay eggs in Easter egg colors, baby goats jumping around on hay bales, or after a long day, the little one stretches out for a nap under the tree … (in the video, sleepy black and white baby goat is only a week old!). Redwood Hill Farm (Sebastopol) – Come here to see baby goats! In a baby goat enclosure, children can pet the baby goats – fur is so silky. We also walked down to the barn to see adult dairy goats, and learned about different breeds, floppy eared Nubian goats (originally from Africa), and LaMancha goats, a breed from Spain, other breeds are Swiss or French in origin. Redwood Hill Farm produces goat milk cheese, keifer, yogurt. 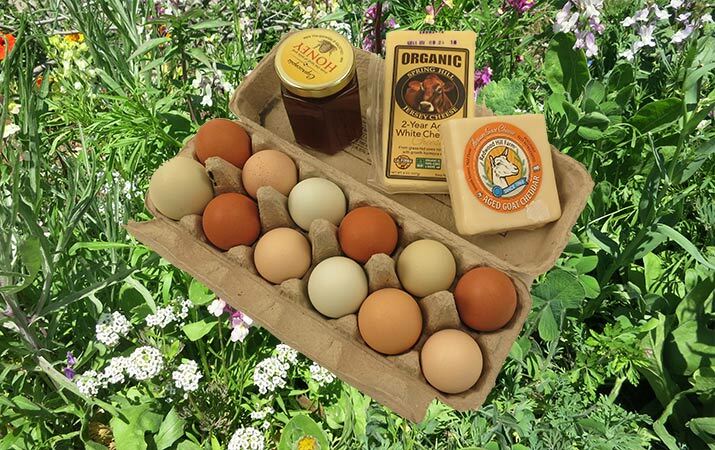 Redwood Hill Farm also has hives, so we bought honey, along with goat milk cheddar cheese. 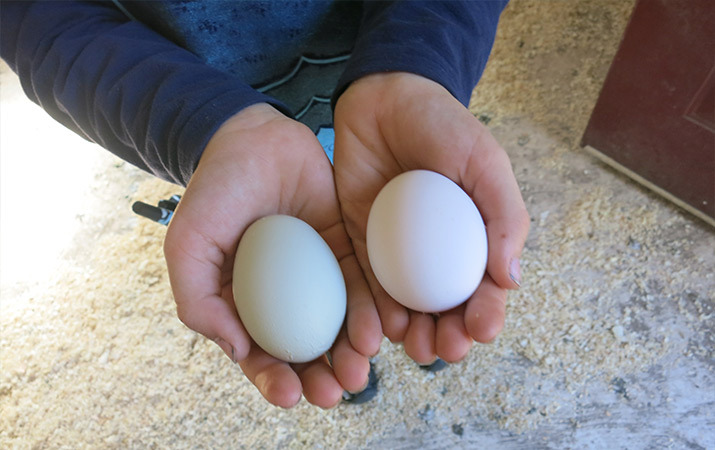 Lynn’s Lavender (Sebastopol) – We arrived late in the day, just as they were closing, but Lynn showed us around the chicken coop with “the girls,” and we bought fresh, just-laid eggs, with shells colored turquoise, bronze, and cream (and inside, the yolk is bright orange). 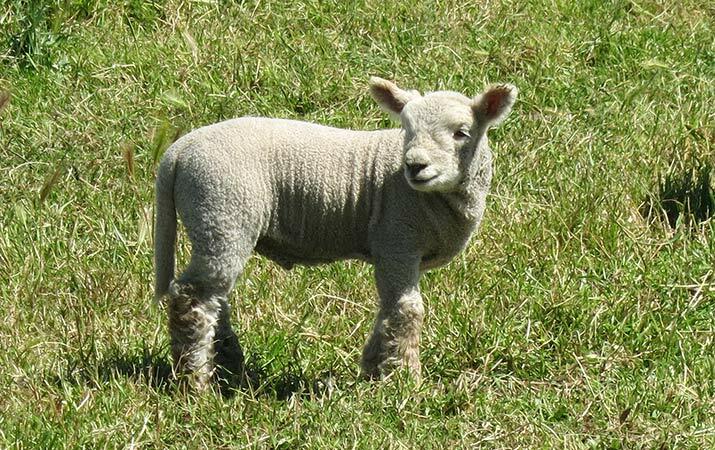 Glenhill Farms and Gardens (Petaluma) – When we arrived, babydoll sheep and lambs bounced around a large field, coming up to the fence to be fed by eager children. Two black lambs following their mom were adorable. Across the way, miniature cattle (a breed from India) paraded in line, motivated by food in a bright red cup held in a boy’s hand. In another field for cashmere goats, we saw a day-old baby goat, standing up on wobbly legs. Glenhill also has produce and flower gardens – at the farm stall we bought fresh greens, herbs, strawberries and flowers. SoMar Farms (Petaluma) – We like to eat grass-fed beef, but never thought about what it takes to have a sustainable farm. At the SoMar Farms, they work with breeds of cattle more able to tolerate drought, and rotate grazing to create healthy pastures, and restore land distressed by over-grazing. In a lush grassy fields, we saw Hereford and Angus beef cows, another pasture had a flock of sheep, and running around the yard was a old sheep dog, since retired from his work tending sheep. Children took us to the chicken coop for a tour of the chickens close up, and picked up two new eggs to show us. We sampled chili and slow-cooked beef, made with beef from SoMar grass-fed cows, and bought premium hamburger to take home (can’t wait to make hamburgers this week). Tip: On Carmody Rd. to SoMar Farms, we stopped on the way to look at two incredibly cute miniature horses in a paddock. Tara Firma Farms (Petaluma) – We had to stop at Tara Firma to see our favorite pygmy goats, Cocoa and Nutmeg (two goats at the beginning of the video). Along with sisters Cocoa and Nutmeg are two more pygmy goats, called Chili and Pepper. Previously we’ve taken the farm tour, but on this sunny day, bright green hills of spring and shady oak trees called to us, so we strolled up to the lake. Dragonflies zipped around in the air, and in the reeds surrounding the lake, we saw brilliant flashes of red and black – a flock of redwing blackbirds. Bring a cooler! Harvest the bounty of the farms to bring back with you. Wear closed-toed shoes around the farms (flip flops get very dusty in the farm yards, and there’s animal poop here and there). Have plenty of water bottles and cold drinks in your cooler, wear sun screen and sun hats. Most farms are located on narrow country roads, or even dirt roads, so drive carefully. For more information, check out Sonoma County Farm Trails.